« She’s such a pink girlie girl! I have a stamp-a-stack scheduled shortly and the girls have requested “something with 5th Avenue”. Of course I love to watercolour with this set, but the thought of the time factor with that!!! 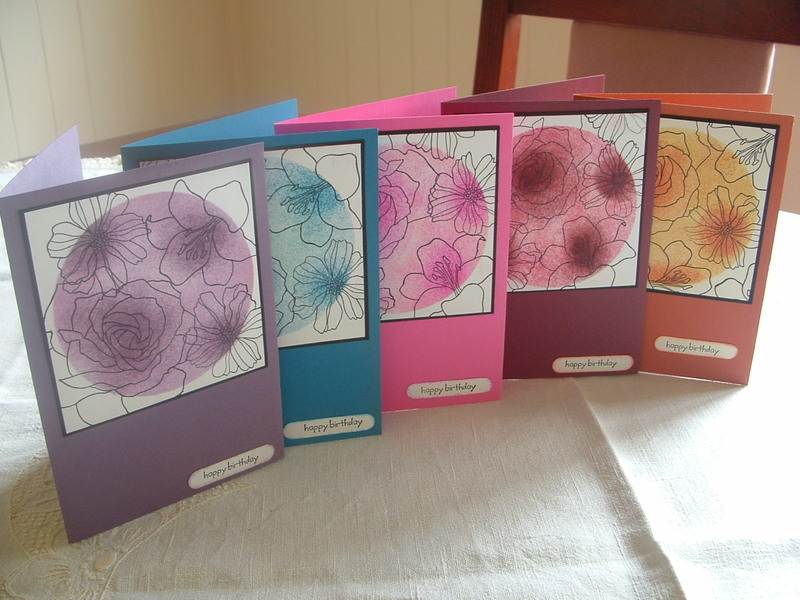 Seven girls watercolouring five cards each, hmmmmm…..could take some time (considering that they are also making five christmas cards each as well). So decided to do a big version of spotlighting. I’m fairly pleased with how these babies turned out and really hope that my girls will love them too. Products are all Stampin’Up! of course! Come back tomorrow and hopefully I’ll have worked out their Christmas card. These girls do lots of stamp-a-stacks. Each month they make five Christmas cards and five other card (this month is ladies birthday – next month it may be men’s birthday and so on) Come Christmas they have the back broken of their card made and a good supply for the coming year of various events. Yes! 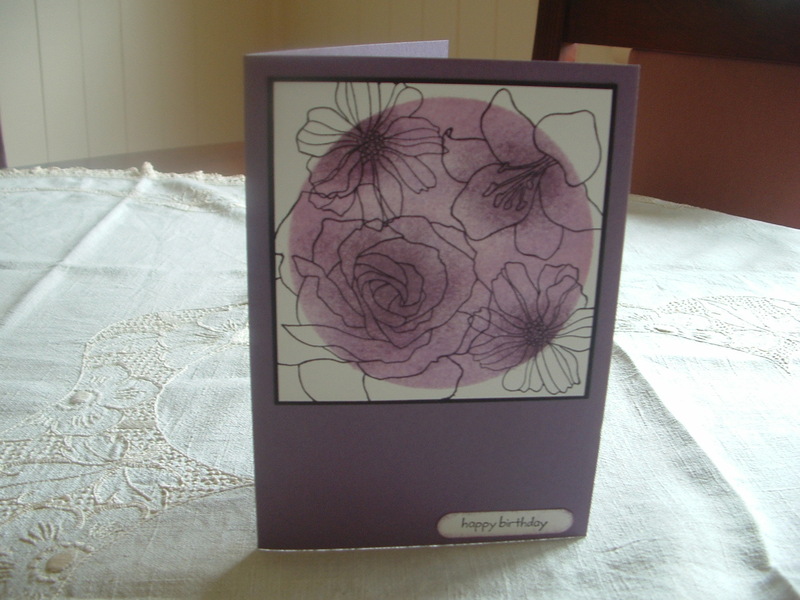 we even stamp-a-stack sympathy cards. 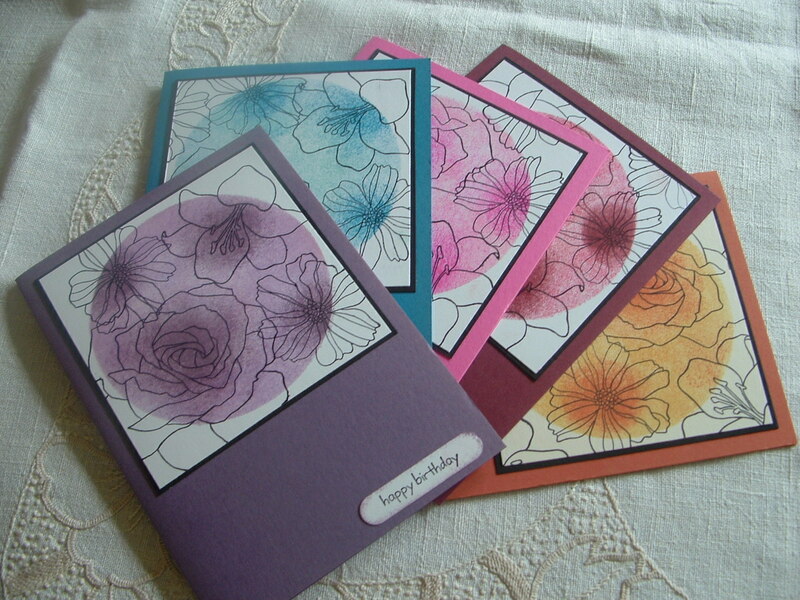 Gorgeous set of cards Jacqui! They look so pretty all together. Love your job ad, looks somewhat familiar to me, ROFL! Fabulous Jacqui – really love the effect you have achieved with these! 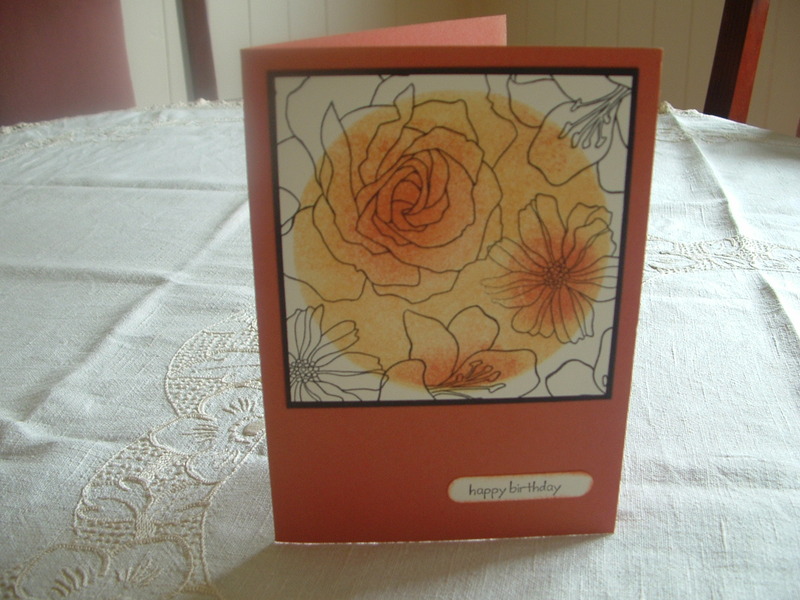 These cards look stunning Jacqui, R you doing these as your swap for convention? if so can swap with you. What a wonderful spotlight technique and such terrific colours. These are really beautiful, your colours especially.